Dream Big. Think Big. Play Big. Dreaming big, thinking big and playing big has always been a part of Mario Chalmers' life. But there was no way of knowing at the time that a high-school English assignment would someday lead to a published book, but that's exactly what happened for Mario and his mother, Almarie. During his junior year at Bartlett High School in Anchorage, Alaska, Mario and other members of instructor Dorena Montgomery's English class were studying children's literature. Hoping to foster a better understanding of the genre, Montgomery asked her students to write their own children's books. Little did Mario know, but his mother had a similar project she always wanted to work on, but, as a busy mother of two children, never had the time. With an idea and title already in mind, she encouraged Mario to develop the concept, and he took it from there. What developed was "Mario Chalmers' ABC's of Basketball," which focused on basketball basics, with each letter represented by a basketball term and its meaning. In his version, Mario used photographs of various professional and college players to serve as his illustrations. The result was not just a good grade, but motivation from his teacher to do something more with the book. Through the years, the two tried to get their story published, but it never seemed to be the right time. Despite a few setbacks, and even shelving the project for a time, the pieces eventually began falling into the place. And nearly 14 years later, the two are releasing, "Mario Chalmers' ABC's of Basketball," combining that early high school term paper assignment, Mario's passion for the game, and Almarie's loves of writing and teaching. "Mario Chalmers' ABC's of Basketball" is a fun and lively story about Lil' Rio and his friends. Intended to inform and spark the interests of younger children, the book is also a great resource for older readers, and even parents, wanting to learn more about the game. It's also the perfect book for parents and children to read together. The story teaches children the ABCs of Basketball in a colorful, entertaining way. 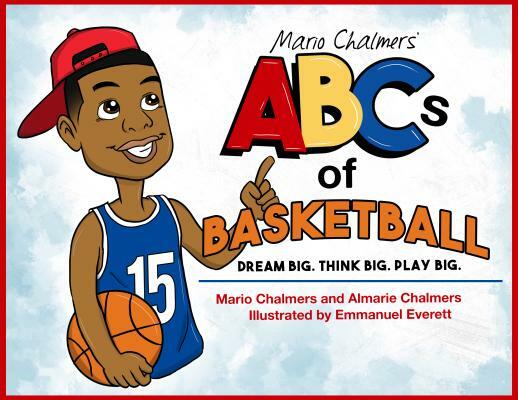 Written by NBA star Mario Chalmers and his mother, Almarie, "Mario Chalmers' ABC's of Basketball" features lively characters and illustrations by Emmanuel Everett. It will be the book you will want to read time and time again.